In effect, in the section on language acquisition, he says (citing research by Liza Menn (1977)) that a child learns a language first by treating all perceived phonological features of an utterance as important and significant to meaning (autosegmentalization), then a process of "systematization" (de-autosegmentalization) over time begins to defoliate and pare down these (what turned out to be superfluous) features until a proper level of linguistic competency is acquired. -Makes total sense to me. I guess "proper level of...competency" is a rather loaded phrase because the real process of language acquisition (and, more generally, linguistic change) is rarely neat and ideally linear but always contains in it certain randomness and idiosyncrasy. And this is precisely why language changes over time. The Inuit language is an ideal subject of autosegmental study for this phenomenon. The diachronic literally exists in tandem with the synchronic (ie, contemporaneously related though apparently distinct forms that are spread out geographically) where phonological and morphological changes can be completely described and analyzed in real time. ivvit tavva tukisijutit "you, this, (do) understand"
The ivvit/illit change can be explained most elegantly without reference to autosegmental phonology (still being clumsy when it comes to autosegmental analysis, I will just assume it). In eastern arctic Inuktitut the form ivvit came to exist from the reconstructed proto-Eskimo *ilvit whose form exists in Greenlandic as illit. In Canada, a regressive assimilation occurred before metathesis could happen so we end up with present-day ivvit (ie, *[ilvit] became [ivvit]), whereas in Greendland a metathesis might have occurred first (*ivlit) before the /l/ finally regressively assimilated the /v/ ending up as illit. The accusative case of "you" was retained in either form. Even nasalization of final segments tend not to affect semantic content of morphemes: sivumun and sivumut mean the exact same thing "forward". Though this nasalization process still occurs phonetically in many eastern arctic dialects the "proper" rendering of the orthographic conventions demand that we spell "sivumut". This is one of the hardest concepts to convey in the exercise of looking into orthographic reform. Many people insist we spell words exactly the way we pronounce them. But it is my view (technically speaking of course) there is something to be learned from the way French, English and Hebrew make use of different symbols (or sequences of symbols) to distinguish (especially) homonyms or dissimilar vowel qualities: bear; bare; bear, for eg. I think these types of distinguishing markers (often silent but act as vital visual cues to pronunciation) need to be artificially introduced into Inuit language orthography(-ies) in order to stabilize the standardization the Inuit Language orthography across different dialects. are axiomatic for all sentient life and will stand for all time. It took me on a long and difficult path (as it still does and probably always will) to realize that there is a difference between how I feel about something and my choice of action. I have a lot of failures and succumb so easily to self interests (always longing for intellectual and spiritual laziness) but the continuous strand of thought and experience tells me that I have to live with myself, and if I don't even try I will remain in arrested development. My immediate reaction is always still to hole up in the security and sanctity of my dwelling rather than face up to life in our society and all its potential for ugliness. In Timothy Findley's novel, Not Wanted on the Voyage (1984), the central character is a Dr Noyes (Noah) the archetypal "pharisee" that is the very definition of intellectual and spiritual laziness who asks much of others rather than of himself. In the novel he sacrifices almost every bird in the ark to search for dry land until at last he is forced to send out his own trained dove which finally comes back with an olive branch. Yet even here he takes it as a sign that it was his following the letter of G*d's edict that saved the day rather than finally himself paying for his lip service. For the spiritually delicate and "pure" Findley's novels are not for them, and I would encourage them to stay as far away from them as possible. Timothy Findley is a giant of Canadian literature. He is in fact attributed to have invented Southern Ontario Gothic style of writing. His first two novels (The Last of the Crazy People (1967) and The Butterfly Plague (1969)) were in fact rejected by Canadian publishers and were originally published in the UK and the US. I'd surmise he didn't meet the quota of mentioning "Canadiana" to warrant costly distribution to such a small market. It is said that his novels were heavily influenced by Jungian psychology (Hannibal Lecter calls this type of psychology, the religion of psychoanalysis) but I'd say that he's a literary critic par excellence of the Judeo-Christian scriptures. Many of his "female" characters are variations of Lilith and/or Lucifer. But (ironically or by design) he takes after the tradition of Christ in that he advocates for the rejected, the downtrodden and the outcast. The recurring theme of madness in Findley's novels is often suggestive of Laingean reaction to intolerable orthodoxy and are case-studies of the price the helpless are often forced to pay for the hypocrisy of the more powerful. Years ago someone gave me a box set of CS Lewis' The Chronicles of Narnia (way before the movies came out). And I think he lent me a copy of The Screwtape Letters by the same author, which I am now realizing was a bit too "advanced" for me at the time—ie, it usually takes me a few readings before I get something, or the right frame of mind before I appreciate the more subtle aspects of a book. Good thing I'm a hoarder of books and/or have excellent memory for authors' names (though when it comes to linking names with faces I'm a real turnip). A movie was made of him and his wife, Joy Gresham (nee, Davidman) called, The Shadowlands (1993) starring Anthony Hopkins and Debra Winger. Anthony Hopkins playing Anthony Hopkins: hesitating momently, squinting a bit to size up and weigh the words about to issue from his mouth—whether playing the role of Ptolemy, Adams, Hannibal or "Jack"—the true genius of the man, Hopkins...to my mind, he is CS Lewis. It is said that Lewis only attended church to partake in communion and was put off by the caterwauling and "sermonizing" but felt comfortable (honoured) in the company of the working class whose simple faith he celebrates and articulates in his writings. Burt Schlubb and Douglas Klump are minor characters in the movie, Sin City (2005). They remind me of Conrad Black and Rex Murphy. Says a Wikipedia entry of them: "a pair of low-rent hit men with 'delusions of eloquence' who use pretentious, pseudo-poetic words (sprinkled with malapropisms) in daily conversation to mask the fact that they're both incredibly stupid and incompetent...". Though Black and Murphy are less prone to malapropisms there is something of a mismatch and disproportion in their speech. They tend to focus on the word level (obscure adjectives, mostly) rather than the crafting of memorable phrases. They seem utterly oblivious to that august art of discourse called, rhetoric. As "public speakers" of some standing in Canada this makes them inexcusably negligent and may be rightfully sued for professional malpractice. This much neglected aspect of the liberal arts is most easily seen in the right-wing political discourse in North America by its very absence. In Canada, there are few luminous examples in literature and literary criticism, and even less in politics—Harper's government, like the Tea Party movement, has stopped trying altogether. In America (and England for that matter), this disconcerting trend to intellectual barbarism is also gaining speed though the pace is non-uniform as evidenced in world-class talent that is still celebrated in all forms of media in the arts and public discourse. Much of the semiological environment of public discourse, television and the so-called mass media in Canada by contrast is a veritable wasteland. There is a promo by Peter Mansbridge (of the CBC flagship, The National) where he says "There is no spin. You just ask them, 'and then what happened...'" that pretty much sums it up. The use of the English language is achieving pure jargon. It gives a new take on "the medium is the message". Don't get me wrong; I love the CBC. I listen intently to The National broadcast nightly and tremendously enjoy its weekly political analysis feature called, At Issue. This is where Mansbridge shines, and his thoughtful, informed prompts to the panel reflect best his impressive intelligence. All the more dismaying that he would unabashedly cater to the less common denominator in that instance. All this may sound pretty snobbish. But I come from a cultural/societal experience that suffers greatly from language loss, and I see the use of language as a developmental process. In my professional and personal view, the level of linguistic competence and vitality is the best indicator of social viability bar none. Having lived and studied in Newfoundland I know that prevalent socio-economic conditions (ie, academic achievement) have little to do with vitality of language; "the gift of the gab" is often the only claim to fame. And, this is a wonderful thing. I suppose it appears unduly harsh of me to hone in on Black and Murphy like this. But to me their style of public discourse is to not demand the best of what Canadians can achieve. Complacency is unbecoming. For those who keep up with the news, there is a heart-wrenching story now being featured in the cycle about a 10 year old Ojibwe girl named, Makayla Sault. The story of Makayla's great courage got me thinking about Weber's iron cage. To portray it merely as "aboriginal against modernity" conflict (from both sides), as some posted comments on the website do, is to diminish the larger stories of our times: the so-called Truth and Reconciliation Commission, the right-to-die debate, etc. Anjana Diyas (one of the respondents to the question about the iron cage) says: "The iron cage is the one set of rules and laws that we are all subjected and must adhere to. Bureaucracy puts us in an iron cage, which limits individual human freedom and potential instead of a 'technological utopia' that should set us free. It's the way of the institution, where we do not have a choice anymore." "'We’re not going to allow any other agency to come in and apprehend our children. We went through that in the '40s and '50s and we’re not going to allow that again,' said Chief Bryan Laforme". There is a story I read once that said that the real difference between heaven and hell is not in the context (both are set in a banquet hall) but in the very attitude we assume. Given that the utensils are too long to effectively reach their mouths, those in hell choose to hit people on the other side of the table with them out of frustration while those in heaven choose to feed the other side which in turn feed them. All of us will die. Whatever the outcome of Makayla, she is challenging us to respect her dignity. It is up to us now to sort out the ethical and spiritual issues that we've chosen to ignore. Hobson's choice is not about a moral dilemma nor about false equivalents, but about choosing between something or nothing. I was having my morning smoke when I saw the graceful, silent take-off of a jet plane. I know it wasn't silent at all and its apparent silence only the play of the atmospheric pressure with where I happened to stand at the moment. Those who read my blog can get a pretty good idea that I want to reclaim my Christian upbringing. In the little over a year that I've started exploring and seeking, I've come to realize a few things: left to their own devices my own immature, ever-shifting perspectives (raw wants and desires clothed as rational, extremely compelling arguments (self-justifications)) pave my way to danger and destruction; my ego—without checks and balances—knows no bounds or limits; my notions of abstraction and objectivity are at once my protection and source of weakness (ie, what is now haphazard can become deliberate, once properly examined and informed). When I first read the above Thomas More quote my immediate, visceral reaction was fear (superstition). There are outward signs and other indications from personal experience that the "devil" really does exist; woe to me if I should actively draw attention to myself...sort of thing. Then I realized that the "devil" is really me, my ego: to paraphrase Socrates, my unexamined life. Two people that I consider very close and dear to me (a brother and sister) observed something about me on two separate occasions (I know they didn't communicate this insight with each other—I just know) that I can paraphrase thus: beware of your sado-masochistic tendencies. -Well, one told me to be kinder to myself and the other not to focus on my (past) "sins" but what I can now intend. I've been having intense struggles of faith, of wanting to feel like I've been saved. Then I realized I've been trying to feel my way to Christ when faith itself is the very definition of trust in things not seen (or, more precisely, not felt). It's less about feelings (circular and intractable as they can easily become) than it is about taking the Word of G*d at its face value and making a decision to accept our free will and our ability to act in the here and now "to do justly, love mercy and walk humbly with our G*d". Work hard, then, on the disappointment or anticlimax which is certainly coming to the patient during his first few weeks as a churchman. The Enemy allows this disappointment to occur on the threshold of every human endeavour. It occurs when a boy who has been enchanted in the nursery by Stories from the Odyssey buckles down to really learning Greek. It occurs when lovers have got married and begin the real task of learning to live together. In every department of life it marks the transition from dreaming aspiration to laborious doing. The Enemy takes this risk because He has a curious fantasy of making all these disgusting little human vermin into what He calls His "free" lovers and servants—"sons" is the word He uses, with His inveterate love of degrading the whole spiritual world by unnatural liaisons with the two-legged animals. Desiring their freedom, He therefore refuses to carry them by their mere affections and habits, to any of the goals which He sets before them: He leaves them to "do it on their own". And there lies our opportunity. But also, remember, there lies our danger. If once they get through this initial dryness successfully, they become less dependent on emotion [last two emphases mine] and therefor much harder to tempt. As I "know" the truth of quantum reality forming the logical basis of all that is materially and relationally possible, my feelings really are immaterial to this undeniable fact. The quantum theory and its line of reasoning and what it can demonstrate and account for is truly objective and utterly above reproach, which I've always taken as indicative of the hand of G*d at work (some ironies are truly exquisite given that I completely believe in one area and not in others). To be able to contemplate and revel in this nature of reality is a reward unto itself, and I have not in any way wanted some kind of a reward for being able to do so. Spurgeon, in Around the Wicket Gate, talks of a man who's lost his purse and how utterly he's made despondent and inconsolable by his loss because he knows exactly how much money was in there: my take-away from this parable is that the past cannot be changed; realizing that one can decide and do after is what matters. This fact is as good as divine salvation and redemption when the proper perspective is taken. Faith and trust in the divine reality must grow (ie, is not a given) because our decisions to act consciously and deliberately take time to generate a track record of learning. Making decisions in good faith and acting upon them, though their consequences can never be certain, make all the difference: to thine own self be true. The Gospel and ultimate sacrifice of the Lord Christ makes absolute sense because the undeniable psychological reality is that, in our "natural" state, we want to remain selfishly juvenile and irresponsible (asleep). The capacity to make self-justification arguments in this state of apparent "innocence" is literally unbound and limitless, at once crude and sophisticated, and ultimately unsustainable. It sounds as if you suppose that argument was the way to keep him out of the Enemy's clutches. That may have been so if he had lived a few centuries earlier. At that time the humans still knew pretty well when a thing was proved and when it was not; and if it was proved they really believed it. They still connected thinking with doing and were prepared to alter their way of life as the result of a chain of reasoning. But what with the weekly press and other such weapons we have largely altered that. Your man has been accustomed, ever since he was a boy, to have dozen incompatible philosophies dancing about together inside his head. He doesn't think of doctrines as primarily "true" or "false", but as "academic" or "practical", "outworn" or "contemporary", "conventional" or "ruthless". Jargon, not argument, is your best ally in keeping him from the Church. Don't waste time trying to make him think that materialism is true! Make him think it is strong, or stark, or courageous—that it is the philosophy of the future. That's the sort of thing he cares about. There is a verbal illustration of infinity called, Hilbert's hotel. It takes its name from David Hilbert (1863-1943), a German mathematician, but the attribution seems apocryphal though it is well-known that he was an admirer of Cantor's arithmetic of the infinite: "No one shall expel us from the paradise Cantor has created for us". The irrationality of the square root of two is a point somewhere in the number line. Its approximate value is 1.41421, but the decimal expansion is without end and no apparent pattern will ever emerge no matter how far into the infinite sequence one gets. I spoke recently of the hapless Hippasus who was thrown overboard for having discovered the irrationality of the number. If you line up the diagonal to the number line it'll land somewhere roughly halfway between 1 and 2. But not quite. Divide up the interval between 1 and 2 into ten equal parts (microscope 10x) and see if lines up...nope. Divide up the interval to 100 parts (microscope 100x)...still nope. Divide up into thousand equal parts (microscope 1000x)...nope. How about a billion equal parts...still it wouldn't line up. One can keep repeating the division of the interval forever but the length of the square root of two will never line up exactly. Strange as it is to our rational minds (no pun intended) there are intervals along the number line that can never be lined up exactly to equal division of parts. The point is there, certainly. But why it's called an "irrational" number is by its very definition not possible to divide into whole number ratios. It is said that Hilbert's Hotel can accommodate an infinite number of occupants, that even if an infinite number of tour buses with infinite number of tourists arrived one night the hotel would not run out of rooms to let. The arithmetic relies on the notion of one-to-one correspondence between one type of number to another type (square numbers to whole numbers, odd numbers to even numbers, etc.). The arithmetic of the infinite (the set theory invented by Georg Cantor that spawned it) is a subtle form of arithmetic but it does not break nor violate any logical argument or any derivable output of the axioms of number theory. It proves the very concept of an irrational number (by way of the Dedekind cut) and lays the foundations of calculus on a rigorous footing by defining the concept of the limit among other things. It is counter-intuitive but utterly above rational reproach (ie, the arguments are derived from sound and demonstrable logic). It transcends the very fabric of maths and yet at the same time births and sustains all that exists as number. In contemplating this stuff I feel that I'm at once humbled and elevated to touch the face of G*d. Truly, there are limits to human knowledge and what we may come to know but there is a great, undefinable comfort in knowing that we exist in an infinite ocean of being. Kenji Yoshino wrote an excellent book called, A Thousand Times More Fair: What Shakespeare's Plays Teach Us About Justice (2011). Though Yoshino writes from the perspective of a legal/Shakespearean scholar his insights into Shakespeare's plays are linked to our times and his analyses are unparalleled in the grand tradition of literary criticism. The axiom of criticism must be, not that the poet does not know what he is talking about, but that he cannot talk about what he knows. To defend the right of criticism to exist at all, therefore, is to assume that criticism is a structure of thought and knowledge existing in its own right, with some measure of independence from the art it deals with. (Anatomy of Criticism, 1957). I would encourage anyone who's interested in the subject of education to read this collection of his works. -I call Frye "a great Canadian" because I'm not normally into Canadian literature much. This "tradition" - if it can called that - has had the unfortunate fate of having to live in a hostile environment in much the same way that a planet in a dual star system (America and Europe) may be subjected to the tidal forces of such conflicting gravity wells. The other Canadian great that I admire is Timothy Findley but it takes a titan to overcome such environment. 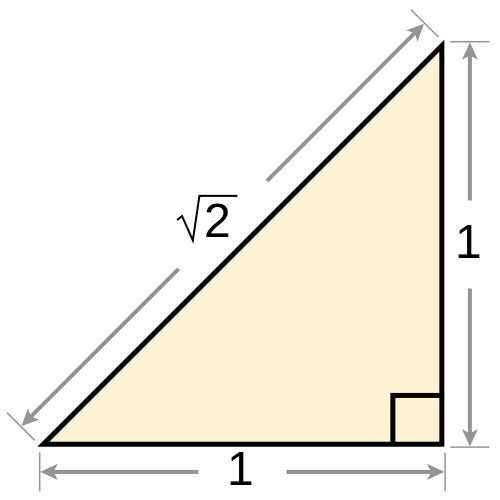 Hippasus is said to have been a student of Pythagoras, and attributed the discovery of irrational numbers. Apparently, Hippasus left no extant text to testify to his time in the ancient world, and is only mentioned by writers like Aristotle. Lost into the mists of time, Hippasus is said to have written a text called, Mystic Discourse, ostensibly to discredit his master. But it makes little sense as legend would have it that he was sentenced to death by Pythagoras and thrown off a boat and drowned. Dogma of any kind - including religious dogma - disturbs me greatly and, in fact, gives me disquieting moments of reflection. Society may "have no criteria for judging itself or one's actions within it" but like Frye claims time and again as those before him, I believe a liberal arts education is the best and only hope to make life worth living. "This work is too important, and I'm not prepared to be an obstacle to it or a lightning rod distracting from the kids and their potential," Atleo said. "I am therefore today resigning as national chief." The highly complex issue of "aboriginal education" has never really been about "education" per se, but rather more an intricate dance of Laing-Bateson dynamics between aboriginals across the globe and the governments that dominate them. The views and philosophical flavour of Laing would be familiar to readers of Ivan Illich (of Deschooling fame) though I doubt they would be aware of the apparent cross-pollination (or tangential trajectories) of these two greats of social criticism of the 20th century. I don't know if these two ever even met each other...history has a way of giving particular genius to people of disparate paths who arrive at similar insights who, though temporal contemporaries or belong to the same era, never meet. Though I would tend to agree with much of Laing and Bateson (from what I've read of them), I'd argue that the symptoms of "madness" (or, more properly, malaise) as described above are not at the personal level per se but nonetheless correctly attributable to displaced societies. As a person of intellectual inclination who happens to be aboriginal I'm often met with disbelief from both sides of the divide. Having sampled different strands of thought and having achieved a certain level of comfort in both modes of being when I offer an insight I'm nonetheless met with profound skepticism or outright suspicion. I nevertheless persevere because knowledge is not personal but cultural (ie, belongs to all humanity). Having spent a majority of my life educating myself I feel I have something to offer. Education, as a concept, is less understood than one would think. To those involved at the policy level, education is something akin to that which divides aboriginals from the so-called "mainstream". It's an unquestioned assumption, and to look at it too closely is bound to blind you like the sun - so luminous and mysterious it is. At this point speech and thought become interdependent: thought becomes verbal, speech becomes representational. When this happens, children's monologues internalized to become inner speech. The internalization of language is important as it drives cognitive development. allowing the student a creative hand to master and reinforce what is learned. As a subscriber and believer of the Judeo-Christian faith, I'm always dismayed by the fascist abusers of the title. I'm talking about the various strands of the so-called "religious right" of American politics and social conservatism. There is a TV show on the History Channel called, America Unearthed. It begins with a premise that conventional wisdom has been lying to us. It is very formulaic, but never ends conclusively; it is a "wild goose chase" pure and simple. Much like "creationism", the show tries and double-binds the unwary: if questions arise in your subjective mind there is something wrong with you (ie, not with the argument). As children, my cousin and I decided we'd go searching for monkeys. Not even with the best "auto-magical" monkey-finder would we have ever found a monkey. Monkeys do exist, to be sure. But the Arctic is not where they live. I would go further and say that the rejection of the humanities among the economic and political "elites" is the root cause of our growing, expanding contemporary social unrest. Unmitigated greed coupled with wearing ignorance like a badge of honour have far-reaching ripples even unto the future of humanity and the sustainability of our civil societies. Whatever the tipping point is, Russia making blatant military excursions into Ukraine's sovereignty is a very disturbing sign indeed. An unrealistic insistence upon the literal interpretation of the Bible is a monkey-quest in the Arctic: it is to miss the central message: pride and folly (selfishness and (willful) ignorance) beget a violent downfall (for the innocent and the culpable alike). The fulfillment of biblical prophesy and the Law, Jesus Christ and His gospel, "is subtle but malicious it is not".